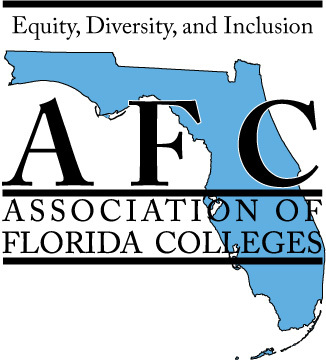 The mission of the Equity, Diversity, and Inclusion Commission is to promote diverse, welcoming, and just environments within AFC and each of its respective colleges. Historically, the Equity, Diversity, and Inclusion Commission's purpose was to provide leadership, advice and counsel on EA/EO/Equity matters, to recommend equity legislative issues to AFC, and to provide a vehicle for professional development. We have expanded our scope by adding elements of general diversity and inclusion work that would be relevant to all AFC members, even if they do not serve their institution in an official equity role. True diversity involves EVERYONE. We are Stronger Together! My name is Renae Tolson, and I am the Director of Business Process Improvement and Equity Officer for Tallahassee Community College. I am writing to let you know that our current Chair, Ms. Marlayna Goosby, will no longer be able to fulfill the role of Chair for our Commission. I know we are all very thankful for her hard work this year and will miss her leadership and guidance. Due to this development, I have been asked to assume the duties of EDI Commission Chair for the remainder of the year. I am happy to support the EDI Commission as Chair and look forward to working with my fellow commission members to close out a successful year for our Commission. Why should you volunteer to serve on a commission? Please contact Renae Tolson [email protected] if you are interested or know someone who would be a great addition to the EDI board. Check back here and on our Facebook Page (https://www.facebook.com/AFCEDI/) for updates. The EDI Commission has accomplished many positive things this year and we want to keep the momentum going. Next on our list is the selection of EDI Commission Exemplary Practices to be presented at the 68th Annual AFC Conference. The EDI 2017 Exemplary Practice Award winner will receive a cash prize so enter today! The Equity, Diversity and Inclusion Commission is seeking presentations that showcase an exemplary practice in the area of equity, diversity and inclusion. Submission of Exemplary Practice presentations must be sent to me, Renae Tolson, at [email protected] no later than August 18, 2017. The EDI Exemplary Practices Judges are asking that the Exemplary Practice presentations be videoed if possible, and the video be sent in with other presentation materials. If you are unable to video your Exemplary Practice presentation, do not let that stop you. We will accept Exemplary Practice submission without a video! The EDI Exemplary Practice Judges will select three Exemplary Practices to be presented at the annual AFC Conference in November where a 2017 EDI Exemplary Practice Award winner will be selected. The presentations should be 25 minutes in length, and we encourage you to leave time at the end of your presentation for questions. The Equity, Diversity, and Inclusion Commission Newsletter is published electronically twice a year. If you wish to be included in our mailing, please officially register with AFC as a member of the Equity, Diversity, and Inclusion Commission. EDI does not need to be your "primary" commission to receive our communications. 2016: Tabitha Parker and Isi Ogwude, Gulf Coast State College - "Diversity Lunch & Learn Series"
2014: Rachel Luce-Hitt, Valencia College - "Beyond Compliance: Creating an Inclusive Environment for the LGBTQI Community"
2013: Aminah Nicols and Darrius Demps, Santa Fe College - "My Brother's Keeper"
2012: Rachel Allen, Valencia College - "Peace and Justice Initiative"
AFC Connections is our private interactive forum. 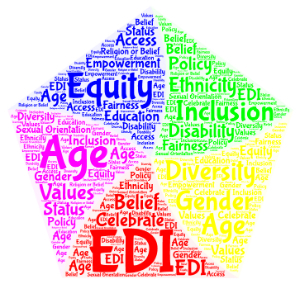 Within this forum, we have the Equity, Diversity, and Inclusion (EDI) Commission Community. Please join the community and connect with us today! Scroll down to the equity, diversity, and inclusion commission community and select it. If you have an issue logging on to the site, first try clicking on the forgot my username AND the forgot my password links. Forgot my username will send you an email with your correct username. Forgot my password will send you a link to reset your password.